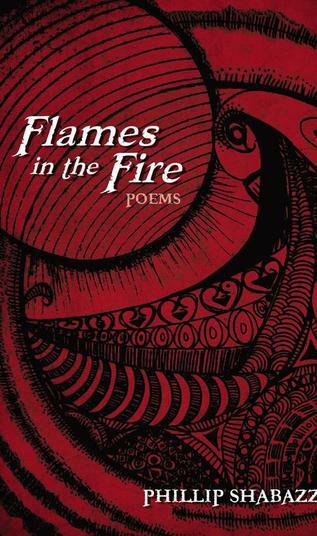 Reviews for "Flames in the Fire"
Cover Designed by Rhonda L. Holmes, M.A. artwork created by, Rhonda Holmes, an artist, educator who resides in Halifax County, NC. and get a party going in the old four-door. of my deceased friends all rowdy in the seat. I feel them rising in the bass and drum out of the stereo. in tones tough as the Wednesday moon. like chocolate essence in waves of autumn air. and beat after beat of their translucent hearts. One moment my friends turn silent as history. the bright side of a dark world.